If you are ready to get away and distance yourself from the rest of the world, Haena or Wainiha may be the place to look for a home. 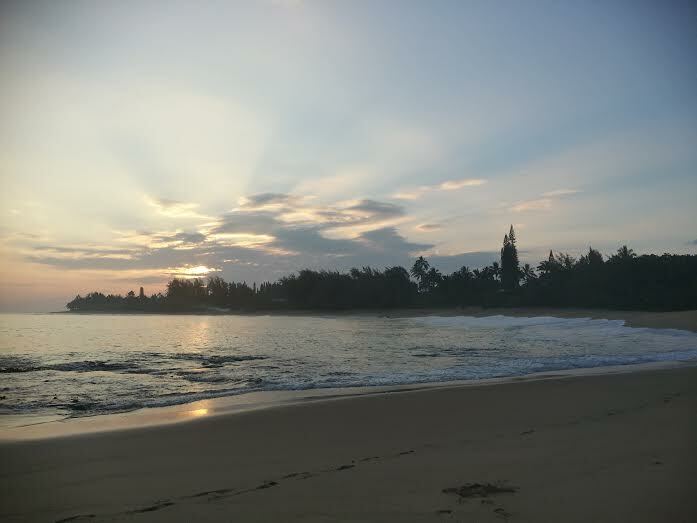 As you leave Hanalei bay and curl around the north shore first you reach Lumahai beach. Great place to stop and take a dip at the end of the beach where the river meets the sea but you won’t find much in the way of homes to buy. The real estate really begins when you enter Wainiha. There are a few fun places to buy homes in this 25 square mile unincorporated part of the north shore. No condo’s that we are aware of. Most of these homes are located on the Wainiha River as it cuts back into the valley on Powerline road. There are also homes on the beach of course. (Wainiha means unfriendly waters in Hawaiian for all you trivia nuts out there). Wainiha has a “last chance” store, Venezuelan food, a sushi spot and… That’s about it. In 2009 there were less than 400 people living in Wainiha full time so, it’s a pretty mellow place. That being said there are plenty of people willing to pay good money for a vacation rental out there so maybe lots of the residents moved to other parts of the island so they could vacation rent and earn more money. After you head over the long one lane bridges you enter Haena. Haena is the home of wet and dry caves, the famous Kalalau trail head and Tunnels beach. Mount Makena is also here above Ke’e beach (Also known as Bali Hai). Julia Roberts, Peirce Brosnan and a handful of other celebs have a Haena home. It might be because the sunsets and sunrises are absolutely stunning filled with every color in the spectrum it seems. Haena doesn’t have the deep valley that Wainiha has so most of the homes are here are near the main road and are pretty pricey. 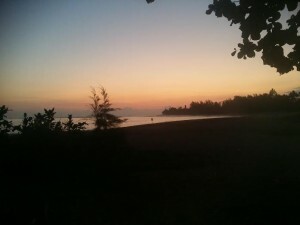 There is one condo option near the East end of Haena called the Hanalei Colony Resort. If you are looking to live out here and want a condo under 500k, you are in luck. These condos aren’t for sale very often because they are located right on the beach and are a great vacation rental. At the very least get out there to see how it feels deep on the North Shore. It’s a very interesting vibe. Calm, remote, tranquil, but NOT boring. There are plenty of surf breaks to choose from, hikes, beaches to pick shells on, walking, tanning, kayaking, fishing, canoeing… You name it. 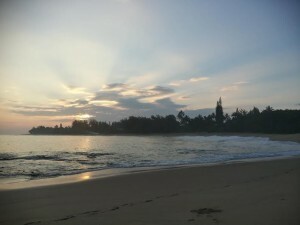 Other Great information on Haena and Wainiha below for you to soak in… As always if you have questions just reach out to us here at Kauai Real Estate Group. Professionally speaking we are Realtors. But given the fact that we live here and love every nook and cranny of this island we are happy to answer more than just Real Estate questions ;). Teaching others about the garden island is also one of our joys.